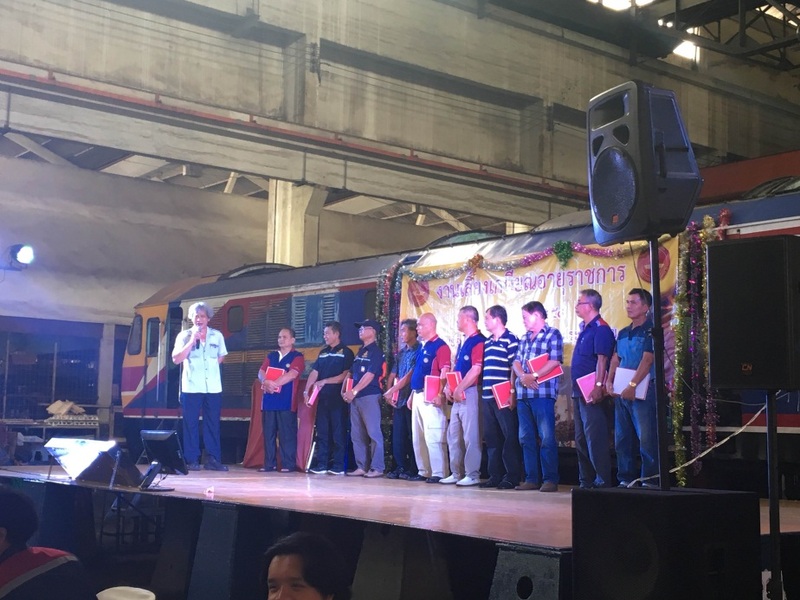 EA Mechanics Co., Ltd. has joined for congratulated with who have retired in Annual Retirement Official 2016 State Railway of Thailand at Makkasan Workshop, State Railway of Thailand on 30th, September 2016. The Annual Retirement Official State Railway of Thailand will be happen in every single year. Objective for the event is to celebrate those whom have done retirement age, around 60 years old. In this year, they are 10 retired people. Mr.Prasert Pewpan, Superintending Engineer, Locomotive Repair Center of Mechanic department is a representative from employee’s relation saying goodbye and thank you to every people who have done retirement. 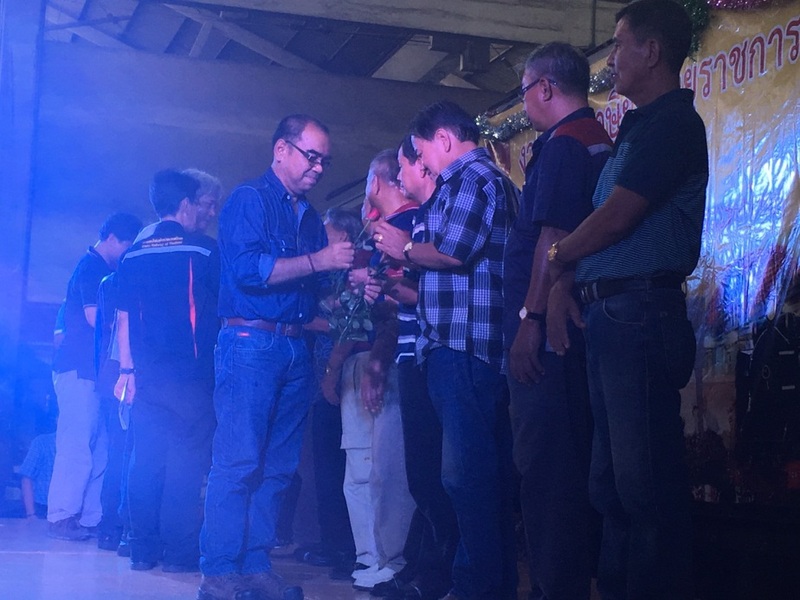 Also co-worker was congratulated and given roses on the stage. State Railway of Thailand invited EA Mechanics Co., Ltd. as a one of suppliers who has good long term relationship with State Railway of Thailand. We would like to say congratulation to every people who have completed their retirement this year with appreciation of trust in our company and products as always until now. Mr.Prasert Pewpan, Superintending Engineer, Locomotive Repair Center of Mechanic department saying goodbye and thank for royalty of those whom completed retirement. Co-worker was congratulated and given roses on the stage.